How much council tax will you pay in Ashfield? Council tax payers in Ashfield are set to see their payments increase this April as the new financial year comes into effect. Residents in Band A properties across most of the district currently pay a total of £1,251.86 per year in council tax, while Band D households pay £1,877.79 Council tax is split into precepts, with Mansfield District Council, Nottinghamshire County Council, Nottinghamshire Police and Nottinghamshire Fire and Rescue Service taking a share. Increases in the latter three precepts mean a total increase of £55.24 per year for Band A and £82.96 for Band D. Band A properties in Sutton and Kirkby will pay £1,307.10 and a Band D property will pay £1,960.75 per year for 2019-20. Below is a breakdown of the individual precepts. 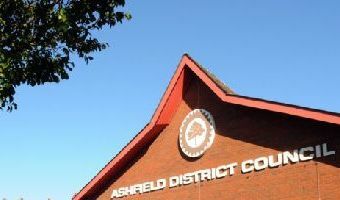 ASHFIELD DISTRICT COUNCILAshfield District Council is set to freeze its council tax precept for 2019-20. This means a Band A property will continue to pay £123.64 to Ashfield District Council per year and … [Read more...] about How much council tax will you pay in Ashfield?